Staci Burns, from Athens, Lousiana, was waiting for her UPS delivery last week. 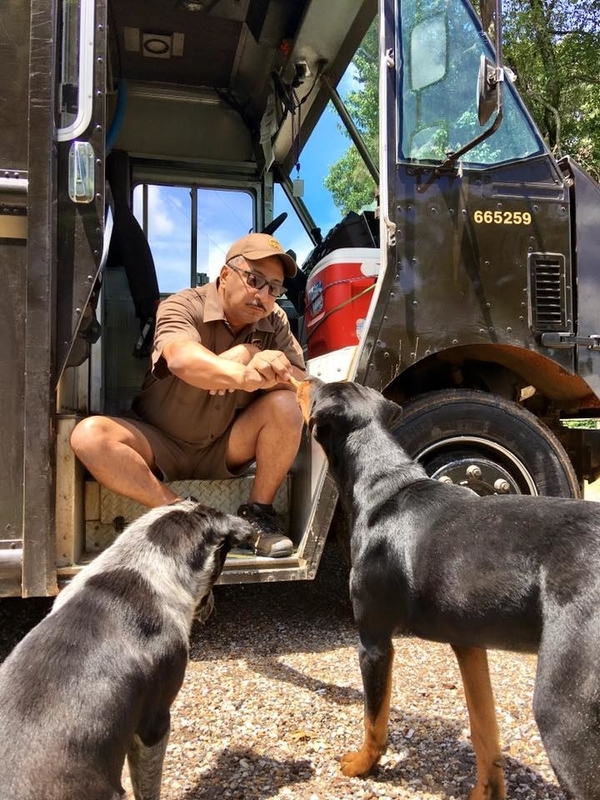 The delivery driver, Daniel Kidd, has an adorable friendship with Burns' dogs and she was filming his arrival to show her husband. "[Kidd] always plays with the dogs and shows them affection," Burns told BuzzFeed News. "I wanted to show [my husband] how spoilt our dogs were. They are just rotten, they think everyone should want to pet and love on them." Sure enough, when Kidd arrived, Staci's dogs Reba, Buster and Jade surrounded the delivery driver, eager to claim their share of pats. Kidd did the same thing anyone would do in this situation – he pulled out his phone and took a selfie with the pooches. Staci uploaded her video of the special moment to Facebook and so far has almost 1.5 million views. Over 15,000 people have shared the clip, and there are thousands of comments from people loving the moment. Kidd and Australian shepherd Reba actually have a bit of a history together. A few months ago, Reba ran away from home and became lost in the neighbourhood. Kidd recognised the dog while passing by, scooped her up and returned her home safe and sound. Ever since then, the pair have been good friends. "Kidd has lots of dog friends around the area," said Burns. "Everyone just loves him." 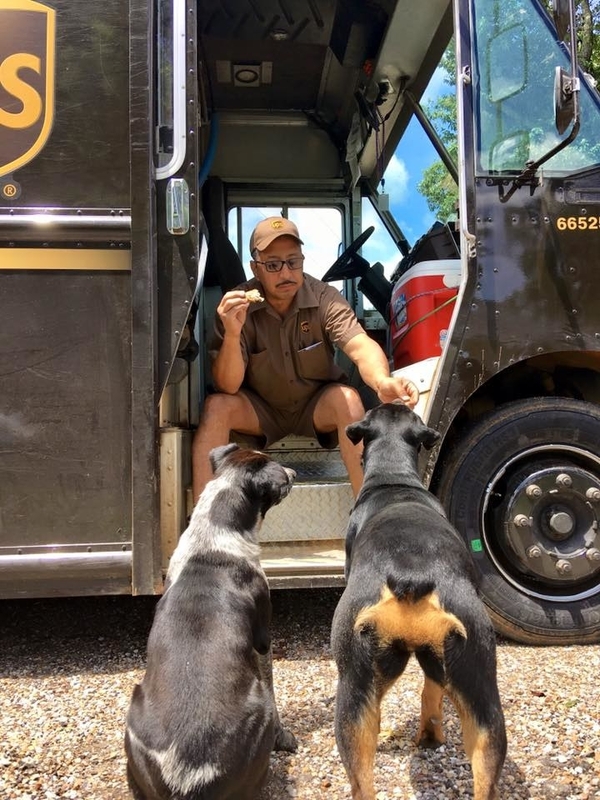 May we all go on with our days with the positivity of a delivery driver who just wants to chill with some doggos.